appearance: Extremely tempting for peanut butter lovers - creamy peanut butter chock-full with bits of red, chewy cranberries and chopped, roasted peanuts. I wanted to dive in as soon as I opened the jar. 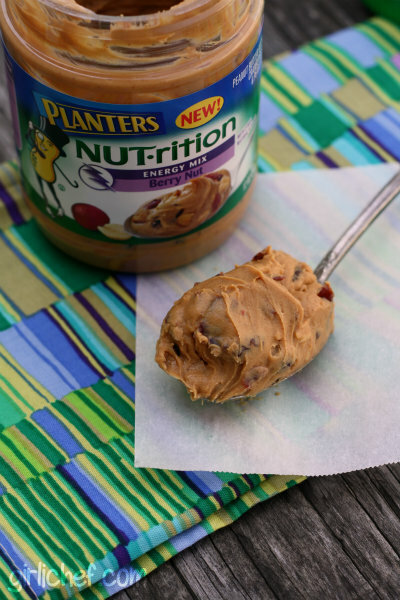 about: Planters NUT•rition Berry Nut Peanut Butter is made with real cranberries and Planters peanut butter. It is made with adults in mind and is a nutrient dense source of energy to start your day with. It is a natural source of five essential vitamins and minerals with 6 grams of protein per (2 tablespoon) serving. There are also 2 other varieties of NUT•rition peanut butter, Cinnamon Raisin Granola Nut and Banana Granola Nut. I look forward to trying those. my thoughts/review: I should begin by saying that I am a HUGE peanut butter fan. Any nut butter, really. 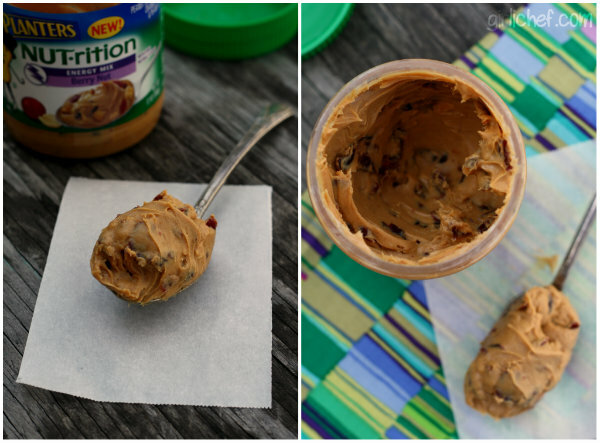 I often spread it on apples or in the channel of a celery stick and then top it with raisins (ants on a raft or log). If you're like me, you'll probably feel the same way that I do. I CAN'T GET ENOUGH OF THIS STUFF. 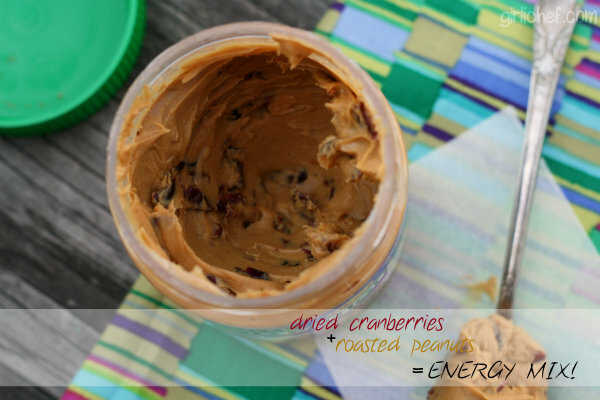 Seriously, the bright, chewy bursts of the cranberries (which I can't believe I never substituted my raisins with - they go perfectly) combined with the deep, roasted crunch of the chopped peanuts give this peanut butter an irresistible texture. Though it's somewhat geared towards adults, the kids all liked it, too. I'm stoked that I was sent the Berry Nut mix to try, because I predict that this will be my favorite of the three varieties (once I've tried the other two). I will DEFINITELY be buying this of my own accord on future shopping trips. I can see this becoming a pantry staple. *I received one (12 oz.) jar of Planters NUTrition Energy Mix: Berry Nut at no charge to taste and review. All opinions stated in this post are 100% my own.